Oscar night is on February 26th so we’ve all got a little time to catch up on the movies we haven’t seen yet! Why not share with friends?! It can be so simple to make a night-in a little different and pretty! 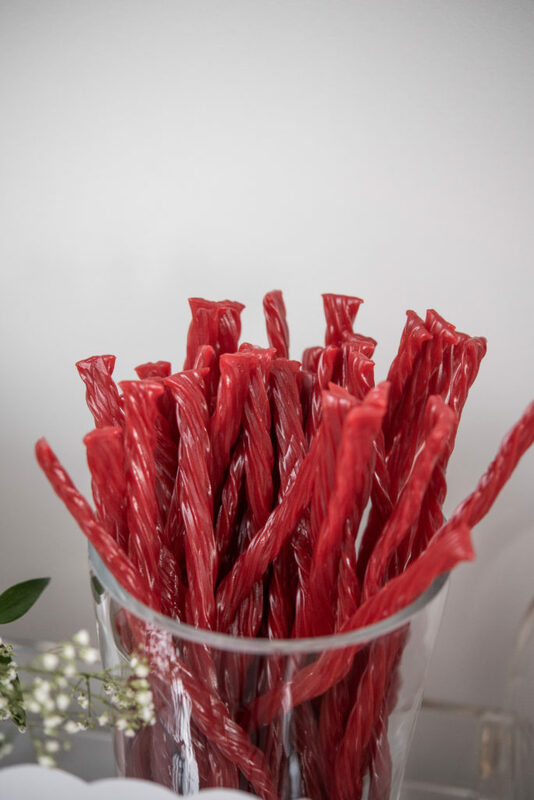 Take your bar cart and use as your ‘buffet’; I added some vintage Coca-Cola bottles, popcorn boxes (here), Twizzlers (my hubby’s fav and it also went with my color scheme – fancy that) and to top it off some delish Truffle Popcorn (recipe – here). 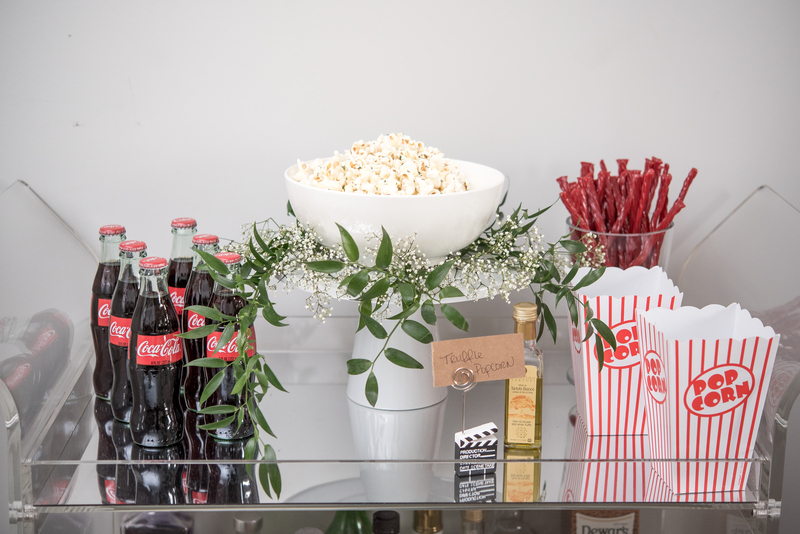 To highlight the popcorn and to give a little height (it gives the display dimension), I put the bowl on a pedestal and added some pretty greens and baby’s breath underneath – it just warmed it up by adding a touch of softness and can be found at your local florist. 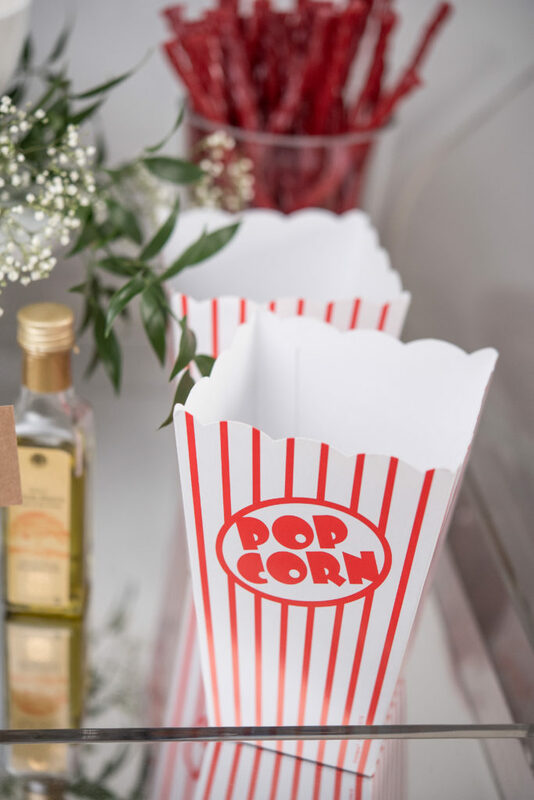 All you need is a mini scoop (not pictured) and let your guests make a popcorn box and grab some goodies at their leisure. Sit back, relax and enjoy the movie! !